The Behmor AB Home Coffee Roaster is expected to be available mid to late May 2019. Preorder now and we will ship as soon as it is in stock. Your credit card will not be charged until we ship and you may cancel at any time. We are one of the largest sellers of Behmor roasters and, in addition to the many that we have sold, we also use several units extensively for roasting in our offices. The Behmor AB replaces the 1600 Plus in April/May 2019. It is the first model change since September 2014. The initials AB stand for the new All Black finish. The prior functionality of the Behmor 1600 Plus continues as before, allowing home roasters to switch between automatic profiles and new manual settings. Users are able to read thermistor and exhaust temperatures and also switch between two drum speeds, however, the drum speeds havee doubled from 8 and 16 rpm to 16 and 32 rpm. The increased speed has shown to produce somewhat more control. The Plus control panel, added in 2014 and available as an optional upgrade to older models, continues to be a standard with the AB. Behmor continually tries to improve its products. 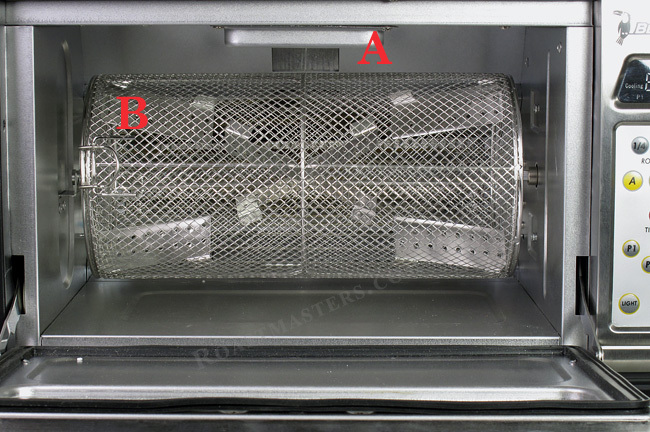 Within the past couple of years there have been improvements to the chaff tray, a fan was added to the side panel and the roasting grid itself was simplified with an easy clasp and welds made at each intersection so that gaps cannot develop. We always have the latest model available. Includes 8 one pound bags of coffee from all over the world. The Behmor AB roasts 1/4, 1/2 or 1 pound of coffee. 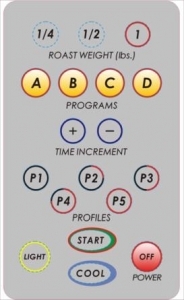 It has a choice of five profile programs. You cannot save program changes but some modifications can be made to roasts during a roast cycle to alter results. A terrific feature is the Behmor's smoke suppression system which is very effective at nearly eliminating roasting smoke and much of the associated aroma. This roaster, as the instructions will tell you, is not for doing dark roasts. The maximum roast darkness is 10 seconds beyond the second crack, which would be approximately a lightly spotted roast, a little beyond Full City, or what you might describe as a light Viennese Roast. If you wish to roast coffee darker than this you should look at our other choices in home roasters. But, if your needs are in the realm of lighter roasts, which are best for coffee's flavor nuances, the Behmor is a real contender. The Behmor AB offers a lot of surprises and in many ways it is a wolf in sheep's clothing. Upon opening the shipping box the first impression was that the box itself was substantial. When we took the roaster out of the inner product packaging a few things stood out. Firstly, and everyone will say this,the roaster looks like a toaster oven or perhaps a microwave. I have to admit it's nicely made and it's obvious from the outset that a lot of detail and thought has gone into its finishes. The exterior, pull down door has brushed stainless facing out, with a knife shaped window a couple of inches tall and nearly the full width of the door. To the right of the door is the control panel and display. 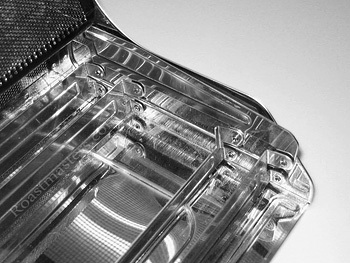 With the drum out the interior is clean and surrounded by clean, aluminum coated steel surfaces. 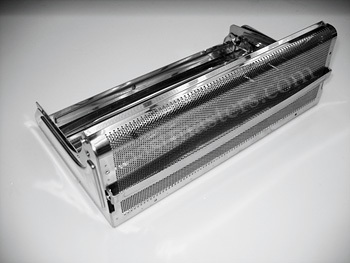 At the rear of the roaster are its heating elements, two 525-watt glass-heating elements for a total of 1050 watts, more than other home roasters. This is one reason the Behmor is capable of roasting up to a pound. At the top of the interior is heated exhaust, which is responsible for removing smoke and some roasting odor. The interior is lit and the light can be turned on after the start of a roast with a button on the control panel; the light goes out after the cooling cycle has ended unless you want to turn it off sooner. This roaster was designed to appeal to a broad range of consumers, meaning that it had to be simple enough to be a home appliance for anyone interested in home roasting without their full immersion in coffee knowledge and roasting technique; but, it also needed to have some of the bells, whistles and controls for the experienced or tech-savvy enthusiast - a tall order and likely an impossible one. The Behmor AB adds optional manual controls and readouts that were missing from the previous model. Also, to increase the safety of home roasting, Behmor has added an blinking alert at 75% into the roast that verifies you are in attendance and paying attention to your roast. If you don't hit the start button within 30 seconds then the roast will end. This requires you stay by the roaster and watch its display rather than walk away and risk an issue. For a detailed overview of new features available in the Behmor AB and its control panel please head here. Being a very quiet roaster it is easy to hear coffee go through first crack. Behmor has no doubt done laborious measurements to determine about how long it takes for coffee to go from first to second crack under various conditions, such as bean type, weight of coffee being roasted and selected profile. In their manual they direct you to use their "Rosetta Stone", a simple guide to how long it takes for coffee to go from first to second crack based on bean weight. Taking their advice in this regard is good idea, especially for new users, even those with prior roasting experience. 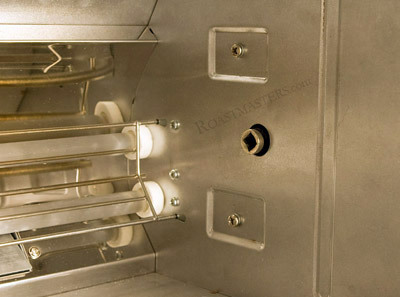 The roaster's interior 15 watt light provides enough visibility to see bean development; with the low profile chaff tray, you have an unobstructed view, a real improvement over the taller, original tray. You will get the hang of roasting on the Behmor quickly. You will also find that the profiles built in to the Behmor are very close to what you will likely seek in finished roasts and highly repeatable. This roaster's ability to repeat results is one of its strengths. 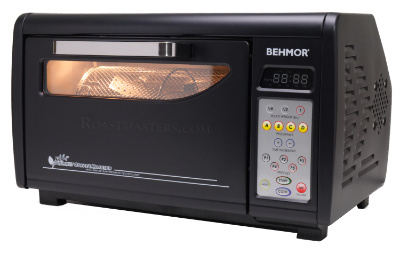 The Behmor AB and prior generations of Behmors have proved to be the most popular home roasters on the market. The AB model takes it to the next level adding enhancements noted at top. Roast using automatic setttings or switch to full manual. In addition readouts provide general temperatures of the exhaust channel or chamber wall. The bottom line is that it roasts coffee very well and does so with minimum of noise and smoke, making it well suited to home use. The price point puts it in reach of most consumers, filling a gap between the smaller roasters that sell for less than $300 and larger Genecafe and Hottop roasters that sell for hundreds more. Also, the flexibility to roast batches up to a full pound yet as small as quarter pound is terrific. Profiles are effective. 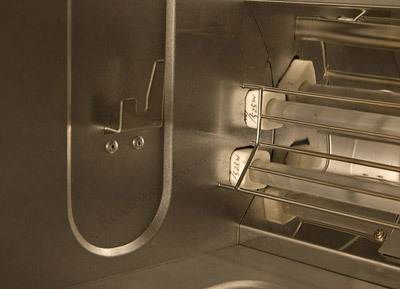 The appearance of the roaster, though not 'roaster-like' will feel at home in kitchens or other areas of the home. The Behmor AB is designed for use in 120volt - 60hz environments ONLY. This roaster will not work in countries with any voltage and/or frequency differences with or without a power converter. Manufacturer's warranty is void outside of North America for roasters originating in the USA.